Additive manufacturing is a one-step production process that enables to pass from design to production in the shortest time. The opportunity was considered very early by the automotive industry: thanks to 3D printing, manufacturers were able to prototype much faster, as they didn’t need to build tooling for every new part designed, but could directly produce their prototypes overnight. They reduced their development costs, and shortened their time-to-market for new product design and industrialisation. The second most commonly used advantage of additive manufacturing is the ability to create new designs without constraint. This opportunity stood-out in the aeronautics manufacturers mind, as weight is a serious matter when it comes to aircraft engineering. Thanks to additive manufacturing, using topology optimisation, they design and produce much lighter parts having direct positive impact on Airlines’ operating costs. One of the best example is the LEAP engine developed by CFM, which delivers a 15% improvement in fuel consumption. Oil representing around 33% of an airline’s total operating costs, the final savings amount to 5% of the overall cost. And as LEAP engine’s most intricate parts are 3D printed, not only they are lighter, but also more durable: the shape optimization resulting from free design enables stress reduction. 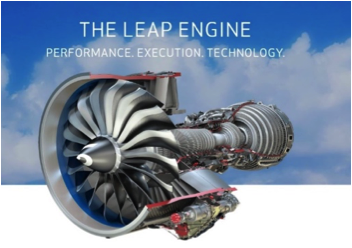 The LEAP engine, produced by CFM (GE Aviation & Safran Aircraft engines), delivers a 15% improvement in fuel consumption, while being more resistant than previous models: LEAP fuel nozzles are 25% lighter, and five times more durable than parts manufactured conventionally. However, thanks to decreased costs and improved performances, new opportunities have appeared and 3D printing shouldn’t be anymore reduced to prototyping or niches applications for high added-value industries. 3D printing end-use products was an idea that no one could think about decades ago, as the use of this technology was at that time both prohibitive and not mature enough in term of quality. But after the key patents had fallen in the public domain in early 2010, costs decreased much and the development pace of additive manufacturing went much faster. The processing speed and performances of additive manufacturing increased and producing 3D printed end-used parts at affordable cost became possible. 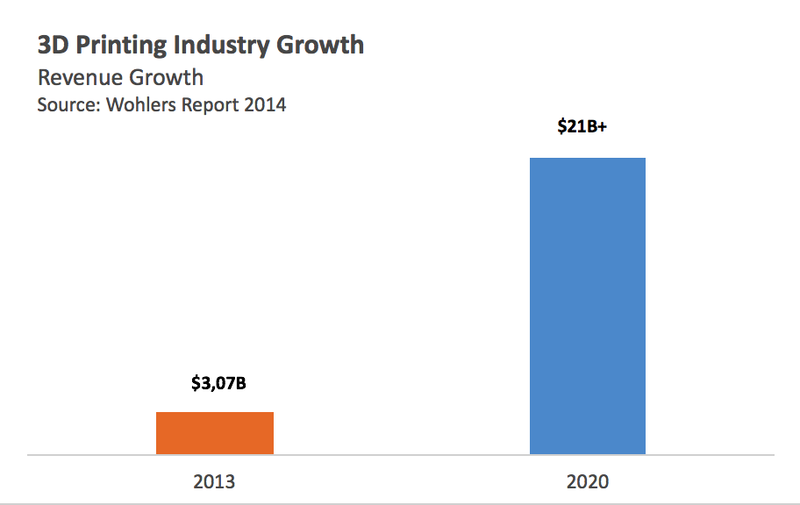 Direct production represented 32% of the 3D printing industry in 2013, when its share was only 12% in 2012. Even though the price decreased, 3D printing of final parts often remains more expensive than usual using industrial production means (e.g., plastic injection, moulding). Nevertheless, as the cost of setting up the machine is the same regardless of the typology and volume of production, economies of scale matter much less for 3D printing and therefore allow small production batches at competitive prices. 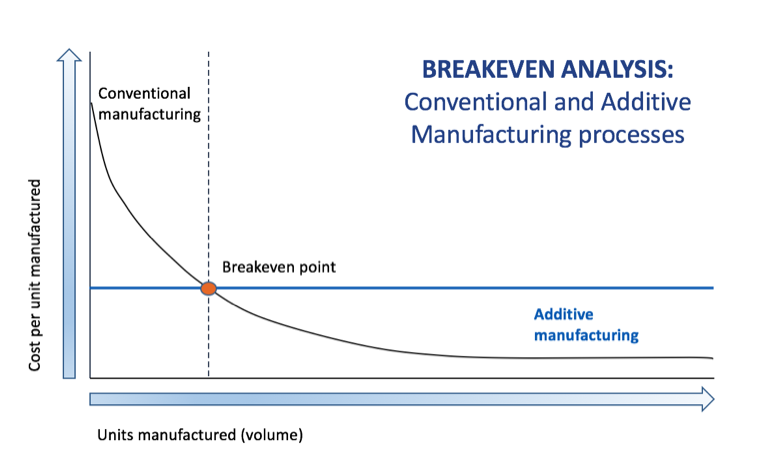 Additive manufacturing actually can make the fabrication cheaper, especially for low-volume production (below about 5000 units for plastic parts) and spare parts long tails. This property is a game changer for the industry. The ability to produce low-volumes also induces the opportunity to apply a built-to-order approach and therefore reduces drastically or even nullify any physical inventory. In the case of spare parts long-tails, it is particularly interesting to use a digital catalogue to substitute traditional warehousing and exempt industrial companies from the usual infrastructure costs and supply chain concerns during the many years of after-sales product’s life cycle. And why would you centralize production when implementing a 3D print-to-order approach gives you the opportunity to manufacture locally? Indeed, one single 3D printer can produce a large variety of parts, and it can be set anywhere, therefore offers maximum flexibility with a reasonable investment. By leveraging on a distributed production network you shorten the supply chain to the last mile, and not only you can produce on-demand but also the closest to the demand. Ultimately it enables you to avoid costly warehousing and distribution intermediaries while getting closer and gaining responsiveness towards your customers. At Spare Parts 3D, we are aware that additive manufacturing enables on-demand and distributed production, and we decide to take advantage of those properties. In the home appliance industry, the number of references is massive, and so are inventory, logistics and warehousing costs for spares. 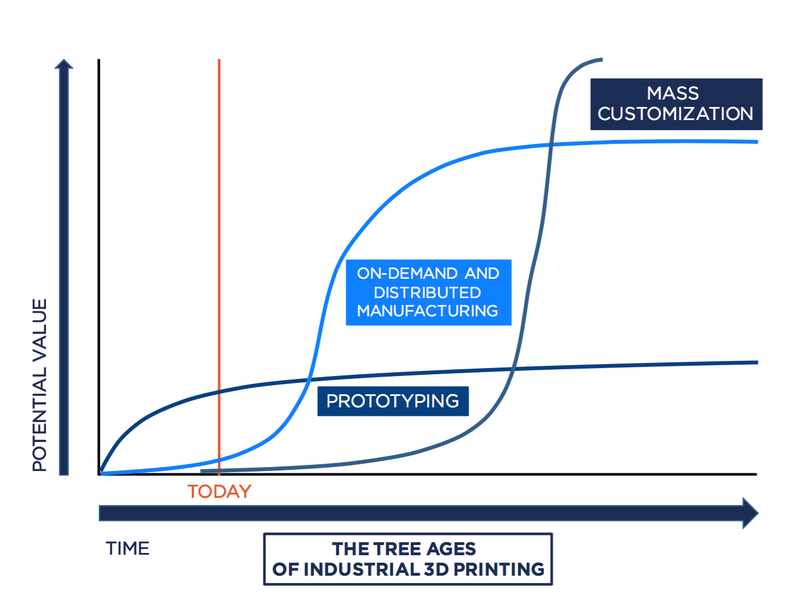 3D printing is now a mature enough process which perfectly fits spare parts fabrication, and the cost-saving opportunity is significant: no physical inventory, short supply chain. We address home appliance manufacturers, offering them an end-to-end service from business case identification to production, in order to reduce their inventory at minimal costs. We believe that OEMs should take a leap forward on 3D printing, and we commit to accompany them at best, helping them to identify the most profitable business cases, offering our 3D printing know-how, and giving them access to our worldwide network of providers. The global consumption model is shifting away from a focus on a relatively small number of hits to countless narrowly-targeted goods. New distribution modes (especially online distribution that cuts the retail cost) give the customers the freedom to choose what they want out of an infinity of products. Thanks to additive manufacturing, which enables to produce one object at a time at an affordable cost, we are entering a new stage in this evolution. With 3D printing, the leap is made from customization, when the manufacturer offers different options to his customer, to customization, when both customer and manufacturer are involved in the production of the end product. The healthcare industry was the first one that was concerned with additive manufacturing, for standardization can’t be achieved when it comes to the health of an individual. Using a 3D scanner to analyse the anatomy of the patient enables medical professionals to design prostheses, which conform better with their body, thanks to additive manufacturing. Sports professionals also benefit from 3D printing, improving their performances thanks to light custom-made equipment, and amateur athletes should be given access to 3D printed equipment in the coming years. The market opportunity is important. A Bain survey (2013) shows that customers are more loyal to brands which produce customized products, and they’re ready to pay 20% more than equivalents for tailor-made products. The global size of the market is difficult to estimate, but just to give an idea, the only footwear sector represents a $2 billion per year. 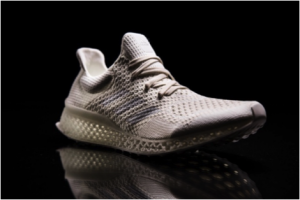 Adidas is taking the opportunity with its Futurecraft 3D project, with technical support from the 3D printing specialist Materialise. The 3D-printed midsole of this model can be tailored to the cushioning needs of an individual’s feet, just by running briefly on a treadmill in any equipped store. Thus, Adidas commits to offer athletes the ultimate personalized experience and the capacity to perform at best. The trend will affect more and more sectors, and an increasing part of the population will have access to tailor-made products. This is the era of custom-fit clothing and sport accessories, limitless combinations of colours and sizes for any object, great comfort and unbounded imagination. And it’s coming faster than you could think.